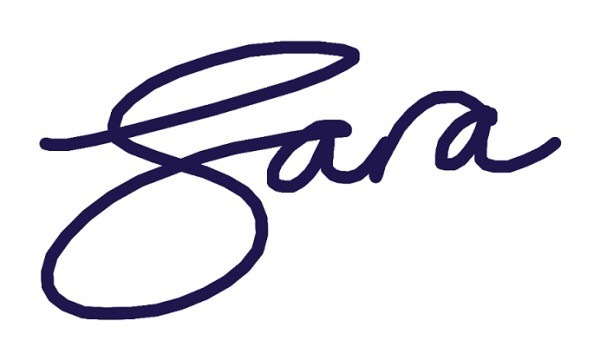 Finding time to blog is something I really need to do as it’s one of the best ways to keep people updated on the work that I’m doing with both Fair Connections the company and Fair Connections Foundation. This post will focus on telling those who supported me last year on what was done with the money raised and what my next plans are. Over the summer, as well as having a much needed holiday, I have been working with three LJMU funded interns. Josh, who is entering his final year of Media Production, has worked on some of my film clips from Nepal and has produced some excellent short films to show case the work that I have been doing. Meeca, recently graduated from Education Studies, has been helping develop and brand the lesson plans that support both the story sack, Fairis book and Baby Monkey puppet set. Finally Karla, who is competing her Sociology degree, is helping me develop the business side of the company and will be helping me promote the educational products to schools in the next few months. Some of you may know about, or may have donated to, my Foundation. 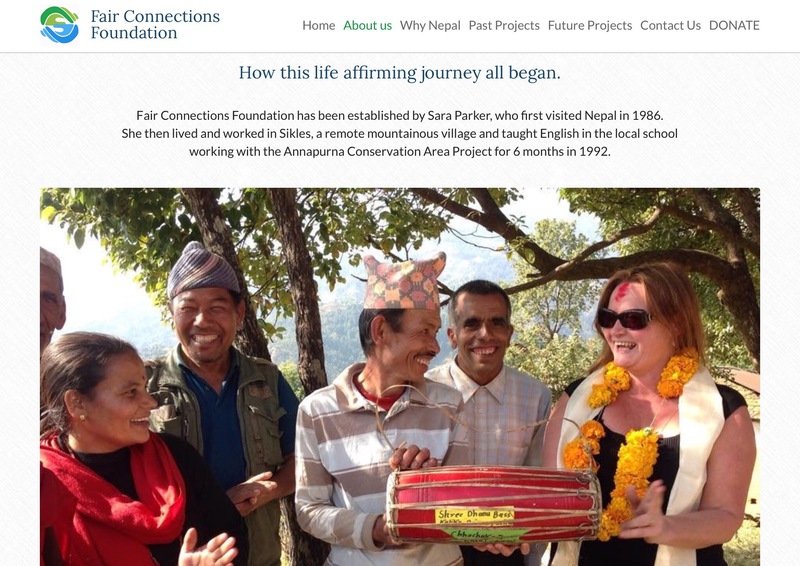 This Foundation was set up to enable me to work with organisations like the Pahar Trust Nepal and Global Action Nepal so that we can provide more puppet story sacks, books and training in Nepal. 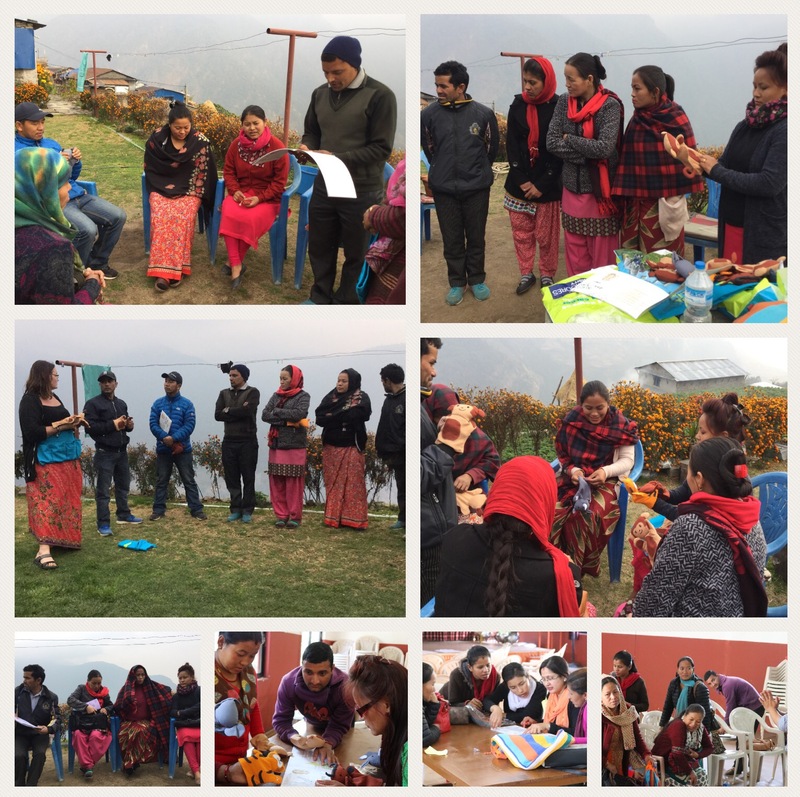 Schools in Nepal who had received the GIFTS sack and training in 2015 gave great feedback and asked for more resources and training. So last year I raised more than two thousand pounds and this was used in February to pay for the Baby Monkey puppet sets, Baby Monkey and Adventures of Fairis a Nepali Frog books to be made in Nepal. More than 30 schools received the Baby Monkey book and puppets and training was provided in both Pokahara, with the support of Chrissy from the Pahar Trust, and in Sikles with support from Kiran Bohara. It’s so important to provide training to teachers and not just give them the puppet sets as this space provides the opportunity for teachers to build their confidence, develop their own ideas and suggest new ways to use these and other resources, in a fun and engaging way. Training sessions provide a good opportunity for teachers to gain news skills but also to connect to other teachers working towards improving the quality of education in their schools. When I return to Nepal on a LJMU British Academy funded research trip later this month I plan to visit some of these schools to see how the resources are being used and to help share their ideas within the wider network. I will feedback here as a blog in November. This video shows how fun and interactive the training is and captures the impact that it has on the teachers. In the Sikles sector teachers came from surrounding schools in their own free time to have further training and to see how the puppets could be use in both the primary and secondary schools. It also provided me with an opportunity to talk about my current research with Kay Standing into menstrual health and the teachers have asked me to go back and share more information on this when I’m next in Nepal. Again watch this space for blogs on this and follow me on Facebook, Instagram or twitter for updates and please comment and give me feedback ! We had two small book launch events in February to celebrate the publication of the two books with supporting puppets sets – one written by myself and one by Susan Green from the Pahar Trust. At the launch in Pokhara Ramesh Karki and the headmistress Anita Sigdel brought children from Srijana Residential Higher Secondary School for the Deaf. These young students acted out the story of Fairis as a drama using the puppets, sign language and art work that they had made which really brought the story to life. This school would really benefit from a friendship link to a UK school with experience of teaching and supporting young deaf people – if you have any ideas or contacts please get in contact with me. If you would like to buy the Baby Monkey 🐵 book and puppet set or the Adventures of Fairis a Nepali Frog 🐸 please visit the Fair Connections company web site. If you would like to donate to more schools receiving the puppet story sacks and training then please visit the Fair Connections Foundation Web site and don’t forget to add gift aid to make your money go even further ! Also please comment when you donate if you have particular schools you would like to support so we can help you develop your connections with places that are special to you ! One of the things I love about my work in Nepal is when organisations come together to work together and share good practice. Working at Liverpool John Moores University has enabled me to travel to Nepal on a regular basis and I work hard to marry my academic work with activist work.